A blockbuster exhibition devoted to the music that was born in and around Birmingham. Music that turned up the volume, down-tuned the guitars, and introduced a whole new meaning to the word ‘heavy’. Home of Metal is conceived and produced by Capsule, under the leadership of its founder and artistic director, Lisa Meyer. 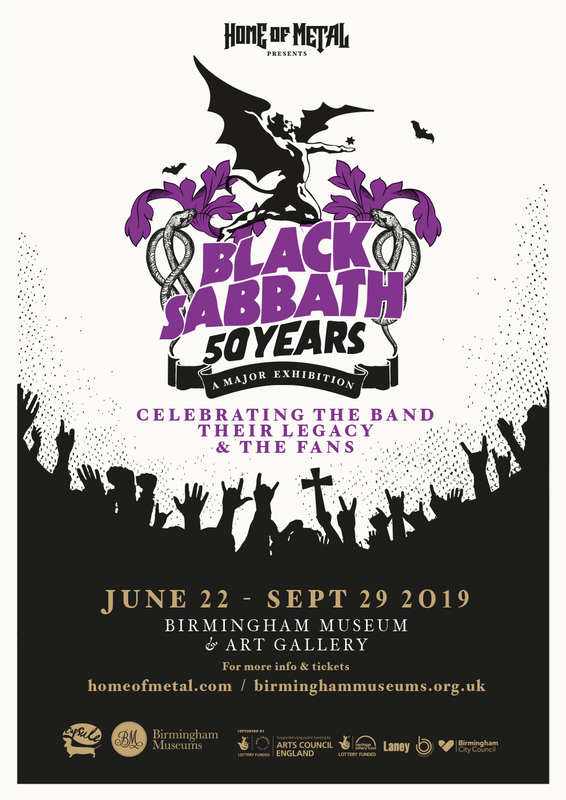 In collaboration with Capsule, Morag Myerscough, one of the UK’s most acclaimed designers will design Home of Metal: Black Sabbath – 50 Years for the Gas Hall in Birmingham Museum & Art Gallery, the largest exhibition space outside of London.